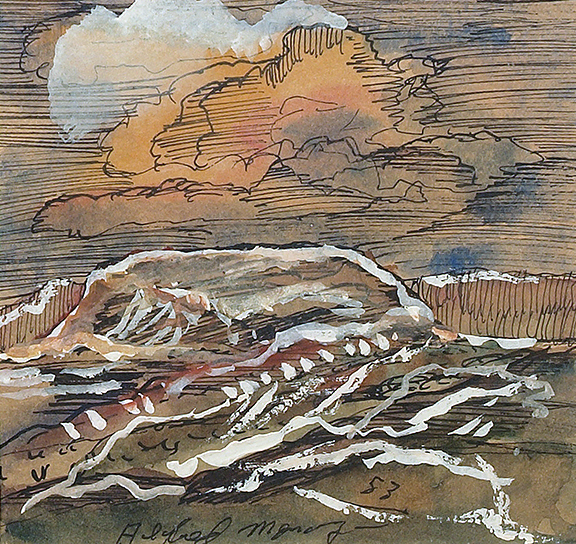 Alfred Morang was born in Maine. He studied music, painting, and literature in Boston, but eventually returned to Portland, Maine. 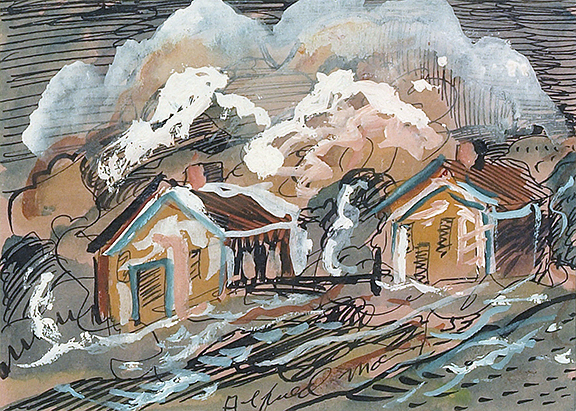 Although exhibiting his paintings in Boston, Morang concentrated on writing during this period and published several fictional works in the 1930's. Tuberculosis necessitated a move to a drier climate and he relocated to Santa Fe, New Mexico in 1937. In Santa Fe, Morang's interest turned back to painting. He was a founding member of the Transcendental Painting Group in 1938 along with Raymond Jonson, Emil Bisttram, and William Lumpkins, among others. The group focused on painting that transcended the sensory perceptions to that which was spiritual. He died tragically in a fire in his Canyon Road studio in 1958.